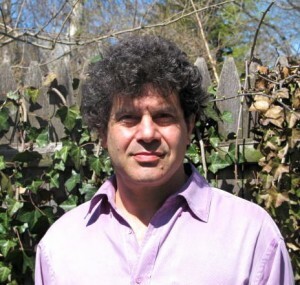 Steven A. Sloman is Professor of Cognitive, Linguistic, and Psychological Sciences at Brown University. He received his Ph.D. from Stanford University in cognitive psychology and did his postdoctoral work at the University of Michigan. He is a fellow of the Association for Psychological Science and the Eastern Psychological Association. He has been an editor and on the editorial boards of several journals and is now the Senior Associate Editor of Cognition, one of cognitive science’s premier journals. His research concerns causal reasoning, decision making, and other high-level cognitive processes. The book has two purposes. The first is to introduce a formal, normative theory of causal representation and inference called causal Bayesian networks. The two key ideas embodied by the theory are that causal knowledge is probabilistic and that causal learning and inference depend to a large extent on interventions, actions that agents take intentionally. Interventions are distinct from mere observations of the world. The presentation is as informal as an introduction to a mathematical theory can be, appealing to intuition and illustrative example and avoiding detailed analytic exposition. The second purpose of the book is to review what is known about the psychology of causal learning, inference, and decision making by comparing psychological facts and theories to the theory of causal Bayesian networks. What is causation and how do people use causal terms? How can causal knowledge be represented and how do people represent it? What constitutes reasonable inference from causal knowledge and how do people make causal inferences? How does causality enter into how people conceive of the world, act in it, and make decisions? How do causal models allow people to think about other possible ways that the world might be? What are the broader implications of what we know about causal reasoning for cognitive science? By trying to understand developments in the formal analysis of causal representation and reasoning that have taken place in philosophy, computer science, statistics, and economics while doing experimental research with people to see how their judgments and behaviour fit the formal models. Philosophers and others have provided a new and extremely powerful way to understand causal systems. Causal Bayesian networks capture many of the key aspects of causal knowledge and inference. Moreover, people’s ability to represent and reason about causal systems is very sophisticated. Nevertheless, people do not behave exactly as the formal analyses of philosophers and others would lead us to expect. For instance, we learn less from correlational data than we could and we rely to a great extent on our ability to simulate processes from cause to effect, so that reasoning from effect to cause (diagnostic reasoning) is harder than we might expect. Causal Bayes network do offer a powerful new tool for building models of many cognitive processes. The book provides a digestible introduction to a difficult technical subject while reviewing a substantial literature in cognitive science. I am a computationally-oriented cognitive scientist. 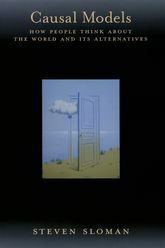 The book represents a new approach to understanding high-level cognition from a computational perspective. The book was first published in 2005. Since then, I and many others have been pursuing work on how people reason causally and diagnostically, how people use causal knowledge to make decisions and judgments and even to deceive themselves, and how people talk about causal systems. There exists a substantial literature on these topics and there is much more work to do.